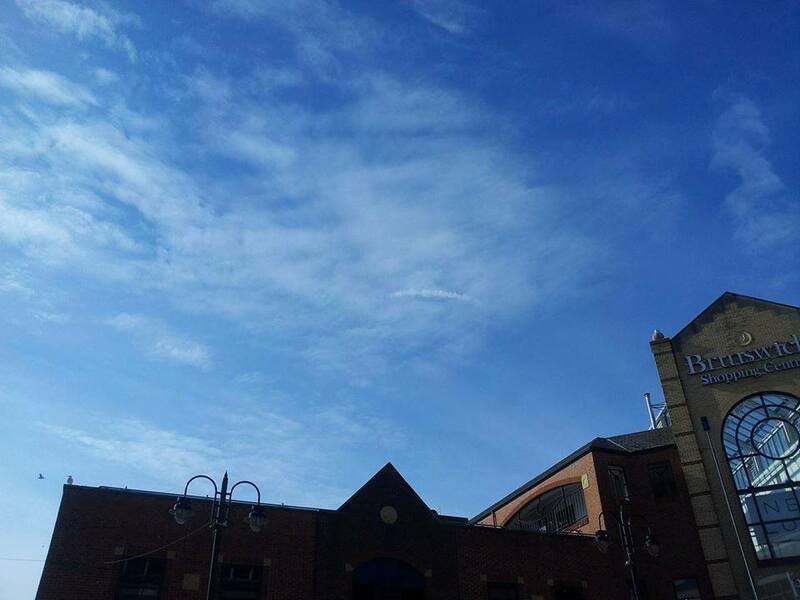 Mr Bond of Bond Jewellers was walking to work at 8.33am on the morning of Monday 24th August, 2015 and he happened to look up over the Brunswick Shopping Centre and this is the photo he took. “Some UFOs which desire to remain stationary in our atmosphere for an extended period have a convenient camoflage. Their electro-magnetic force field causes a condensation of water vapor which creates a cloud around the ship” (W.Brownell, UFOs Key To Earth’s Destiny! 1980). Our very own Mr Bond took this photo and is a great believer “we are not alone”. Come to Bond Jewellers on Huntriss Row (near McDonalds) and ask to see our unique “alien” jewellery. ← Welcome to Scarborough. Our Scarborough.